Biography Abu Musab al-Zarqawi is a Jordanian jihadi commander who is currently the leader of al-Qaeda in Iraq. His network has been active in Europe, Afghanistan, Iraq and Africa. While he is a poor ideological innovator, depending on others for his ideological development, he is a natural tactician, organiser and military leader whose life experience has taught him a merciless cunning. Youth Zarqawi was born Ahmad Fadil Al-Nazal Al-Khalayilah, a member of the Khalaylah clan, which is part of the Beni Hassan tribe. He was raised in the rough suburb of al-Kasara in al-Zarqa (aka al-Zarqaa), in October 1966, one of ten children (four boys and six girls). Al-Zarqa is near the Al-Ruseifah Palestinian refugee camp, in an industrial part of Jordan 26 kilometres (16 miles) northeast of the capital Amman. His family home was in a particularly unpleasant area near the town cemetery and an abandoned quarry. After Zarqawi's father, a town mukhtar (advisor), died (1984), Zarqawi dropped out of school, and descended into drug and alcohol abuse and violent crime - he was jailed for drug possession and sexual assault. The ruthlessness and brutality which was to be Zarqawi's trademark first showed itself during this period. However, Zarqawi is also dedicated to his mother, and those close to him say that he is prone to emotional outbursts and even tears. Born Again Salafi Zarqawi drifted into the Palestinian refugee camps, where he encountered Salafism. Ironically, this encounter led to a period of relative calm and legitimacy in his life. He obtained a municipal clerical job and married his maternal cousin. Zarqawi went to Afghanistan in 1989, towards the end of the Soviet occupation. Although he has made much of his 'veteran' status, he saw little combat. He is believed to have fought against the Russians at Khost under commander Abu al-Harith al-Salti aka Farouq. He spent much of his time writing for Al-Bonian Al-Marsous (The Strong Wall), and his brother in law, Abu Saleh al-Hami was a correspondent for al-Jihad.1 1 Nu'man ibn 'Uthman interview in al-Hayat, MEMRI Special Dispatch #813, 10 November 2004. Maqdissy The Afghan Jihad was one of the most important steps in the development of global Islamic militancy because of the connections it forged. The most important contact Zarqawi made during this time was Jordanian radical scholar Isam al-Barqawi, aka Abu Muhammad al-Maqdissy, whom he met in Peshawar, Pakistan. Maqdissy was the most important radical Salafi scholars to come out of Jordan after Abdullah Azzam. In 1992, Zarqawi and al-Maqdissy returned to Jordan, where they set up Bayt al-Imam (House of the Leader)2 to help those returning from Afghanistan. Usama bin Laden, with his mentor Azzam set up Bayt al-Ansar (House of the Helpers) and Makhtab al-Khidimat (Services Agency) in Afghanistan, and the records they kept formed a useful basis for the terrorist network bin Laden went on to establish. It is likely that Bayt al-Imam played a similar role for Zarqawi. 2 Gary Gambill (Abu Musab al-Zarqawi: A Biographical Sketch, Terrorism Monitor, 16 December 2004) gives the name as Bayat al-Imam or Pledge of the Leader. Back in Jordan, Zarqawi spoke very publicly against the regime and the clerics, and stockpiled arms in his own house. He was arrested in March 1994 on charges of plotting to overthrow the government. Rather than defending himself against the charges, Zarqawi compounded his predicament by issuing his own indictment against the presiding judge and King Hussein of Jordan!3 He and Maqdissy were each given 15 years of hard labour. In Suwaqa prison, Maqdissy presided over a group of Islamist prisoners who took over a large dormitory cell. From the beginning, Zarqawi was Maqdissy's lieutenant at Suwaqa. This was an important time for Zarqawi, who memorised the Quran and learnt jihadi Salafi theory, as it were, at the master's knee. 4 Paul McGeough, "The Making of a Monster", Good Weekend, 16 October 2004, p23. Yet within four years, Zarqawi was the leader of the Islamists at Suwaqa. Being the only East Bank (non-Palestinian) Jordanian of the group, and the only genuine Afghan veteran (Maqdissy had remained in Peshawar) gave Zarqawi some advantage. But his willingness to confront the prison authorities and come to the aid of his fellow prisoners, the ruthless independence and cunning honed in his youth in Zarqa, must have been decisive factors. While Maqdissy's powerful intellect commanded respect, for this band of terrorists languishing in a violent prison, Zarqawi's personal qualities commanded the greater respect. Once close collaborators, Zarqawi and Maqdissy no longer speak to each other. Terrorist Leader In 1999, Jordan's new king Abdullah II granted a general amnesty, and Zarqawi was released. However, the security services followed a general policy of harrassing known Islamic militants in order to drive them from the country. Zarqawi was prevented from obtaining employment or doing business. Zarqawi's mother was suffering from leukaemia, and doctors advised that a change of climate could be good for the position. For these reasons, in 2000 Zarqawi relocated to Peshawar with his mother.5 He stayed in Peshawar for six months, until his Pakistani visa expired and, after a short period of detention, he travelled to Kabul. It was at this point that he took the nom de guerre Abu Musab al-Zarqawi. 5 In another version of events, Zarqawi organised an attempted bombing of an Amman hotel then fled Jordan. Return to Afghanistan There has been much speculation about whether Zarqawi worked with al-Qaeda during this period. Although Zarqawi's ideological outlook was essentially the same as that of al-Qaeda, it seems he did not swear bayat (fealty) to, or receive substantial funding from, bin Laden at this time. Instead, he set up a camp with 80-100 Jordanians and Syrians in Herat Province, Western Afghanistan. This was about as far from al-Qaeda's Jalalabad and Qandahar operations as was possible. Zarqawi's group was called At-Tawhid wal-Jihad, or Islamic Monotheism6 and Holy Struggle. 6 See our glossary entry for tawhid. Zarqawi claims to have received financial support from an unnamed Afghan warlord, and he frowned on donations from Saudi sources.7 7 McGeough, p26. Although as a Jordanian, Zarqawi's paramount aim was to destroy the Jordanian Government, he set up a sophisticated network in Europe. To understand this decision, we need to understand the general approach to revolution being taken by the jihad movement at this time. After the Afghan war, takfiri, or Qutbist Salafi theory had shifted. 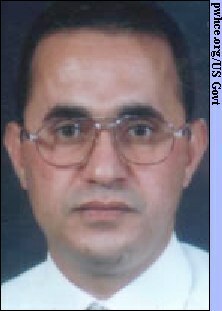 In the 1960s and 1970s, ideologues such as Dr Ayman al-Zawahiri had taught that an offensive jihad against non-Muslim countries could not be fought until secular regimes in nominally Muslim countries such as Egypt and Jordan had been supplanted, and an Islamic State with an Imam had been established. However, Abdullah Azzam's teachings that national boundaries were alien to Islam, coupled with the destruction of the Soviet Union after the war in Afghanistan, resulted in a new approach. According to this new viewpoint, the battlefield for jihad was global. Secular regimes in Muslim countries could not be overthrown directly because they were financially supported by Superpowers - whether the Soviet Union or Liberal-Democratic Capitalism led by the United States. To attack the Superpower directly was therefore a defensive jihad, which could be conducted without an Imam. This is what has driven both al-Qaeda and At-Tawhid to attack American and European targets in recent years. The challenge of transporting agents from Afghanistan to the West was solved differently by al-Qaeda and At-Tawhid. The former funnelled personnel through Peshawar, Pakistan, whereas Zarqawi's network in Europe was supplied via Iranian way-points. Zarqawi built up connections in Iran, particularly in the northeastern Iranian town of Mashhad.8 In Europe, at-Tawhid and al-Qaeda competed for funds.9 8 Mashhad (Meshed) is the easternmost point on the main transit route spanning Iran. Zarqawi in Iran After the terrorist attacks of 11 September 2001, when it was clear that an American invasion of Afghanistan was likely and that Zarqawi's position would become untenable, he and his men took refuge in Iran, possibly passing via Qandahar and Baluchistan, Pakistan on the way.10 His position in Iran became increasingly precarious, however, when several members of his network were arrested and interrogated. In February 2002, three at-Tawhid members were captured while crossing from Iran into Turkey on a mission to attack Israel, and in April 2002, three at-Tawhid members were arrested in Germany while planning attacks against Jewish targets. This led Iran to expel him soon afterwards. 10 See the Bahraini documentary AlZarqawi: Min Herat ila Baghdad (Zarqawi: From Herat to Baghdad), by Lahodood. (Arabic language). Zarqawi in Iraq In April or May 2002, the Iranians passed Zarqawi across the border into Iraqi Kurdistan, and the camps of Ansar al-Islam, an al-Qaeda-backed Islamic terrorist organisation led by Mullah Krekar.11 Iran is believed to have supported Ansar al-Islam as a way of undermining the larger, secular Kurdish parties.12 11 See also Aso Hawleri profile. 12 Michael Rubin, The Islamist Threat in Iraqi Kurdistan, December 2001. Jordanian members of Zarqawi's network, including an explosives expert, had already been with Ansar al-Islam since 1998-1999, so he was able to establish a new base of operations strategically located on the edge of the Arab world. Jordanian authorities have claimed that Zarqawi entered Jordan through Syria in late 2002. One month after this alleged visit, US Ambassador Laurence Foley was assassinated. Three suspects were arrested, and they claimed that Zarqawi had instigated the attack. Various accusations have been made about Zarqawi's time with Ansar al-Islam - that Zarqawi was treated in a hospital in Baghdad, that he and Ansar al-Islam were working with Saddam through the alleged mukhabarat agent Abu Wa'il, and that Ansar al-Islam manufactured ricin that later surfaced in Europe. These accusations are difficult to verify, but what is clear is that Zarqawi was well positioned to lead the Islamic wing of the insurgency when March 2003 invasion took place. Whether he remained in Ansar al-Islam camps until April 200313 or laid the preparations for the war during extensive visits to Baghdad and the Sunni Triangle14 is uncertain, but clearly he emerged as an important figure in the insurgency soon after the Coalition invasion. 13 McGeough, p26. Although Zarqawi had still not declared bayat to bin Laden, he met with al-Qaeda's military chief, Muhammad 'Ibrahim Makawi, aka Saif al-Adel, in March 2003. Zarqawi agreed to coordinate the entry of al-Qaeda operatives into Iraq from Syria. This essentially made Zarqawi the terrorist 'Emir' of Iraq.15 15 Gambill. The most recent pictures of Zarqawi, apparently taken in Iraq. It was through Zarqawi's tactics in Iraq that he became a household name worldwide. In particular, the massive bombings against high profile targets such as the Jordanian Embassy and UN Headquarters in Baghdad, and Zarqawi's graphic beheading videos shocked the public in Iraq and abroad. The height of Zarqawi's success came in 2004, when cities such as Fallujah were under the control of the insurgency. At-Tawhid wal-Jihad played an important role in Fallujah, and when the city was eventually captured, houses containing bloodstained rooms and dismembered corpses were discovered. Fallujah also demonstrates the ability of the global Salafi network to act strategically despite being decentralised. Some alleged that Zarqawi played a role in planning the 11 March 2004 Madrid Bombings, which were instrumental in Jos� Luis Rodr�guez Zapatero's upset victory over Prime Minister Jose Maria Aznar. This election result directly resulted in the withdrawal of the substantial Spanish and Latin American troop contribution in Iraq. As US troops were diverted from the planned Fallujah operation to fill the gaps left by departing Hispanic troops, the planned assault on Fallujah failed, and the city remained in the hands of insurgents until August 2004. Whether Zarqawi had a direct hand in this attack or not, the attack was calculated to support his efforts, and it succeeded.16 16 For a more in-depth discussion of the Madrid Bombings by Moroccan terrorist group Salafiyya Jihadiyya, see Iraq and the Madrid Bombings in Context. Fomenting sectarian war by attacking Shi'ites. Zarqawi and al-Qaeda The first three of these strategic objectives are completely in accordance with the goals of the al-Qaeda organisation led by Usama bin Laden. However, the sectarian strategy is one of several points of difference between the two leaders. The term 'al-Qaeda' is used to indicate several different types of organisation - the organisation personally led by bin Laden and Dr Ayman al-Zawahiri, those groups within the broader "World Islamic Front Against Jews and Crusaders" that have pledged bayat to bin Laden, or even completely separate groups that adhere to the ideological framework identified with al-Qaeda. Zarqawi imbibed the basic al-Qaeda ideological framework from al-Maqdissy. As a particularly radical, Qutbist branch of Salafism, the al-Qaeda methodological model interprets the Quran and the events of Muhammad's life as a blueprint for revolution. Specifically, the al-Qaeda ideology views these events through the prism of the Afghan war against Soviet occupation. In 2003, bin Laden attempted to capitalise on the projected withdrawal of American and British forces from Saudi Arabia to foment a revolution in that country, while generally supporting operations in Iraq. This is because of differing interpretations of the general al-Qaeda model, but also because the group was constrained in Afghanistan and could not direct operations in Iraq. Bin Laden instead mobilised Tanzim Qaedat al-Jazeera al-Arabiyya (al-Qaeda Organisation in the Arabian Peninsula, meaning Saudi Arabia) against the Saudi regime. On the other hand, Zarqawi issued statements calling on Saudis to travel to Afghanistan, where jihadis could operate more freely and targets were more plentiful. Al-Qaeda, already weakened through the American assault on Afghanistan and tighter global security measures, suffered still further losses through the inevitable Saudi crackdown. On the other hand, Zarqawi built a reputation and a wide-ranging and effective network through his Iraq operations. Despite his fiercely independent nature, though, he knew that his operations in Iraq needed the al-Qaeda 'brand name' and stamp of approval. He had essentially earned the right to negotiate with al-Qaeda from a strong footing. During 2004, Zarqawi began signalling his interest in working with al-Qaeda.17 In February 2004, a courier was intercepted carrying messages from Zarqawi to bin Laden. On 10th September 2004, al-Hayat interviewed a representative of Zarqawi, who stated that Zarqawi was operating on the same model as bin Laden. However, he noted with disappointment that Zarqawi had not pledged bayat, and he intimated that this was hindering recruitment efforts. 17 For more on Zarqawi's merger with al-Qaeda, please see the article, Evolution of al-Qaeda: Osama bin Laden and Abu Musab al-Zarqawi by Trevor Stanley. (Originally printed in The Review). Approaching al-Qaeda would have been difficult for Zarqawi, a man not accustomed to humility. It appears that he needed the legitimacy that came with al-Qaeda's imprimatur but lacked the strength to supplant bin Laden as he had supplanted Maqdissy. We do not see ourselves as fit to challenge you, and we have never striven to achieve glory for ourselves. All that we hope is that we will be the spearhead, the enabling vanguard [that leads] to the victory that is promised and the tomorrow to which we aspire. This is our vision [...] If you agree with us on it, [...] we will be your readied soldiers, working under your banner, complying with your orders, and indeed swearing fealty to you publicly and in the news media, vexing the infidels and gladdening those who preach the oneness of God. [...but] If things appear otherwise to you, we are brothers, and the disagreement will not spoil [our] friendship. A key sticking point seems to have been Zarqawi's insistence on sectarian attacks, whereas bin Laden's World Islamic Front has sought to focus its attacks more specifically on Western Powers and those individuals who directly assist them. Zarqawi tends to view the Iraqi Shi'ites as aligned with the US en bloc. the insurmountable obstacle, the lurking snake, the crafty and malicious scorpion, the spying enemy, and the penetrating venom. [...] The unhurried observer and inquiring onlooker will realize that Shi'ism is the looming danger and the true challenge. "They are the enemy. Beware of them. Fight them. By God, they lie." History�s message is validated by the testimony of the current situation, which informs most clearly that Shi'ism is a religion that has nothing in common with Islam except in the way that Jews have something in common with Christians under the banner of the People of the Book. From patent polytheism, worshipping at graves, and circumambulating shrines, [...] These are a people who added to their infidelity and augmented their atheism with political cunning and a feverish effort to seize upon the crisis of governance and the balance of power in the state, whose features they are trying to draw and whose new lines they are trying to establish through their political banners and organizations in cooperation with their hidden allies the Americans. These [have been] a sect of treachery and betrayal throughout history and throughout the ages. It is a creed that aims to combat the Sunnis. When the repulsive Ba'thi regime fell, the slogan of the Shi'a was "Revenge, revenge, from Tikrit to al-Anbar". Although in his negotiations with bin Laden Zarqawi justified his attacks on Shi'ites as part of a broader strategy, it seems more likely that he is simply more hostile to diversity and therefore more ready to commit takfir (excommunication) against fellow Muslims, whether Shi'ite or Sunni. In other words, Zarqawi is substantially more radical than al-Qaeda's core commanders. In October 2004, the two groups announced that Zarqawi had pledged bayat to bin Laden, and at-Tawhid wal-Jihad was accepted into the broader al-Qaeda organisation, adopting the name Tanzim Qaedat al-Jihad fi Balad al-Rafidayn, or Al-Qaeda Organisation for Jihad in the Land of the Two Rivers (Iraq). 2005 Since the announcement of the merger, al-Qaeda has generally given both Peninsula and Iraqi wings equal billing in its propaganda. The development also seems to have invigorated Zarqawi's operations. During 2005, Zarqawi has had a number of close shaves. He reportedly narrowly escaped capture by rolling off the truck he was travelling in while it passed under a bridge, although his lap-top was captured. In May 2005 there were widespread rumours that Zarqawi had been injured. Although it was difficult to confirm whether this was in fact true, Zarqawi's publicity machine managed to turn the rumours to his advantage.18 Repeated reports of the arrest of high-ranking members of Zarqawi's network19 and claims that the 'noose is tightening' must be weighed against the apparent increase in recruitment of foreign fighters to Iraq. 18 Michael Scheuer, Unravelling the Saga of Zarqawi's Injury, Terrorism Monitor, 10 June 2005. 19 Stephen Ulph, The Fall of Zarqawi's Lieutenants, Terrorism Focus, 3 March 2005. Conclusion: Parallels Abu Musab al-Zarqawi and Usama bin Laden have much in common. Both lost their fathers. Both developed their views about terrorism from Jordanian mentors during the Afghan War. Both acquired databases of Afghan-Arab jihadis from their mentors, and went on to head international terrorist networks with similar objectives and methods. Both ran training camps in Afghanistan in the late 1990s. Ten years younger than bin Laden, Zarqawi was not a leadership figure in the Afghan Jihad, and was thus an obscure figure when bin Laden was conducting interviews and releasing videos during the 1990s. However, Iraq is shaping up to be Zarqawi's Afghanistan. Through a combination of cunning and good fortune, Zarqawi has risen from obscurity to global infamy in a very short space of time. Although At-Tawhid wal-Jihad was not even designated by the US State Department until October 2004, the US now offers the same $25 million bounty on the Jordanian that it has offered for al-Qaeda founders bin Laden and Zawahiri. Zarqawi may need more than ruthlessness and luck to remain in this privileged position. Citing this page This is a dynamic biography reference. Details may be added, deleted or changed without notice. If you intend to cite this page, PWHCE advises making a copy and recording the date of download for your own reference. US State Dept: Foreign Terrorist Organization: Designation of Jama�at al-Tawhid wa�al-Jihad and Aliases, 15 October 2004. Colin Powell, Patterns of Global Terrorism Appendix G: Iraq and Terrorism, 2002, released 30 April 2003. A Message From A Soldier To His Commander, 8 June 2005. Zarqawi: "Collateral Killing of Muslims is Legitimate", 7 June 2005 (original message 18 May 2005). Another report. Collateral Killing of Muslims is Legitimate, MEMRI Special Dispatch Series #917, 18 May 2005. US: Possible Letter to Al-Zarqawi Cites Low Morale, 3 May 2005. Communiqu�s from Al Qaeda in Iraq: 1[PDF], 2 [PDF], 3 April 2005. Mu'askar al-Battar (al-Qaeda online magazine), Zarqawi's Pledge of Allegiance to al-Qaeda, translated by Jeffrey Pool, Terrorism Monitor, 16 December 2004. Evgenii Novikov, Baathist Origins of the Zarqawi Letter, Terrorism Monitor, 25 March 2004. A claim that the February 2004 letter was not really written by Zarqawi. Audio Statement from Al-Qaida in Saudi Arabia to Abu Musab al-Zarqawi in Iraq [PDF], (Saleh bin Muhammad al-Oufi), translated by Evan Kohlmann, 16 March 2005. 'Al-Zarqawi tape' rallies fighters, 15 November 2004 (report on 16 November). Audio recording purportedly by Abu Musab al-Zarqawi urges fighters to hang on as 'victory is on the horizon', report by Sarah al-Deeb, AP, 12 November 2004. Allawi threatened on al-Zarqawi Tape, 23 June 2004. CooperativeResearch.org, Complete Timeline of the 2003 Invasion of Iraq. Newslib: Abu Musab News. Regularly updated news about Zarqawi. Stephen Ulph, Zarqawi-Linked Groups Enter Kenya, Terrorism Focus, 10 June 2005. Stephen Ulph, Reports of Zarqawi's Injuries Continue amidst Talk about Possible Successor, Terrorism Focus, 27 May 2005. Michael Scheuer, Coalition Warfare, Part I: How Zarqawi Fits into Bin Laden's World Front, 29 April 2005. Sami Yousafzai and Ron Moreau, Terror Broker: Osama's Man In Iraq, The Bulletin, 6 April 2005. James Gordon Meek, Al-Zarqawi not Osama fave: report, NY Daily News, 4 April 2005. Stephen Ulph, The Fall of Zarqawi's Lieutenants, Terrorism Focus, 3 March 2005. Stephen Ulph, Jihadi Forums Show Concerns About Zarqawi's Possible Capture, Terrorism Focus, 7 January 2005. The City of Al-Zarqaa in Jordan - Breeding Ground of Jordan's Salafi Jihad Movement, MEMRI Special Dispatch #848, 17 January 2005. From December 2004 Al-Hayat Inquiry. Gary Gambill, Abu Musab al-Zarqawi: A Biographical Sketch, Terrorism Monitor, 16 December 2004. Matthew Levitt and Julie Sawyer, Zarqawi's Jordanian Agenda, 16 December 2004. Gordon Corera, Unravelling Zarqawi's al-Qaeda Connection, Terrorism Monitor, 16 December 2004. Andrew McGregor, Ricin Fever: Abu Musab al-Zarqawi in the Pankisi Gorge, Terrorism Monitor, 16 December 2004. Expresses doubt about Russian claims that Zarqawi was in Georgia's Pankisi Gorge, or that he had anything to do with the manufacture of the poison ricin. Former Jihad Fighter in Afghanistan: Al-Zarqawi's Group Adopted the Worst Practices of the Algerian GIA: Their Brutal Actions will Lead to Their Isolation., MEMRI Special Dispatch #813, 10 November 2004. Translated excerpts of al-Hayat's interview with Nu'man ibn 'Uthman. Jordan Indicts al-Zarqawi, 17 October 2004. Stephen Ulph, Sheikh Al-Shami, Al-Zarqawi's Mentor, Killed, Terrorism Focus, 1 October 2004. NPR's Alex Chadwick interview with Dan Murphy, A Profile of Abu Musab al-Zarqawi [audio], 27 September 2004. 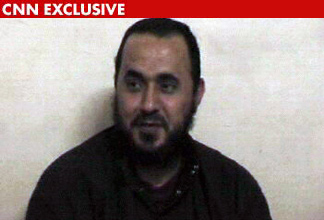 Al Hayat interviews Al-Zarqawi Associate, 10 September 2004. Translation in MEMRI Special Dispatch #788, 23 September 2004. Jeffrey Gettleman, Zarqawi's Journey: From Dropout to Prisoner to Insurgent Leader, New York Times, 13 July 2004. Michael Isikoff and Mark Hosenball, The World�s Most Dangerous Terrorist, Newsweek, 23 June 2004. Robert S Leiken and Steven Brooke, Who Is Abu Zarqawi?, The Weekly Standard, 24 May 2004. For comments and to contribute material for publication, please e-mail admin@pwhce.org.